The World Economic Forum’s 48th annual meeting will take place in the Swiss ski resort of Davos-Klosters from 23-26 January 2018. This event brings together heads of state, political heavyweights and business leaders as well as representatives from international organisations, academia, the arts and media. This year, a record number of experts will meet to discuss the global economic and political agenda under the theme, ‘Creating a Shared Future in a Fractured World.’ The aim is to place firm focus on the need for international cooperation on shared issues including international security, the environment and the global economy. 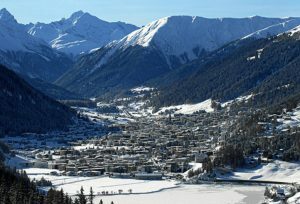 Attended by around 2,500 participants, 500 journalists will also descend on Davos to provide coverage of one of the most important economic events of the year. Opening the event is the Prime Minister of India, Narendra Modi, who will deliver an address. Donald Trump, President of the United States, will deliver a keynote speech before the end of the meeting. 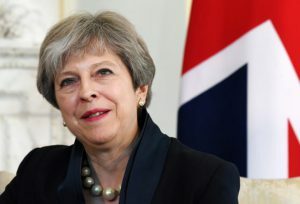 Confirmed attendees include Theresa May, Prime Minister of the United Kingdom; Justin Trudeau, Prime Minister of Canada; Emmanuel Macron, President of France, and Jean-Claude Juncker, President of the European Commission. Davos is a popular ski resort located 90 miles from Zurich, Switzerland. The valley is suitably isolated to make it a practical venue for a meeting involving so many high profile figures, but with the recent spate of terrorist attacks in Europe, security will be high with up to 5000 armed forces personnel drafted in to support the local police force. For those travelling to Davos 2018, scheduled flights serve Zurich airport, but for visitors wishing to charter a flight, the most accessible airport is Engadin Airport located just 4 miles from St Moritz and 40 miles from Davos. The airport can accommodate a broad variety of private aircraft and our expert consultants can provide you with specific information and quotes for your travel needs. Contact our team today on +44 1452 714500 or email charter@skytimejets.com.